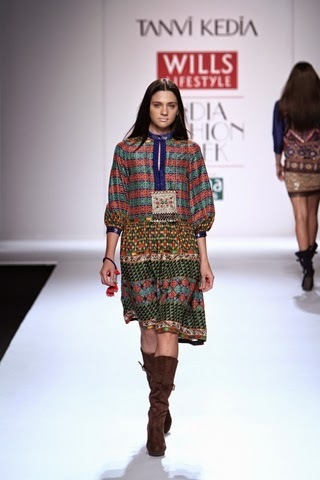 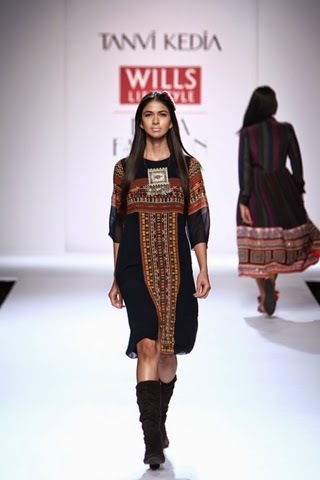 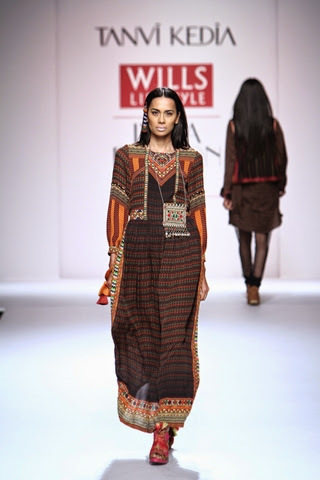 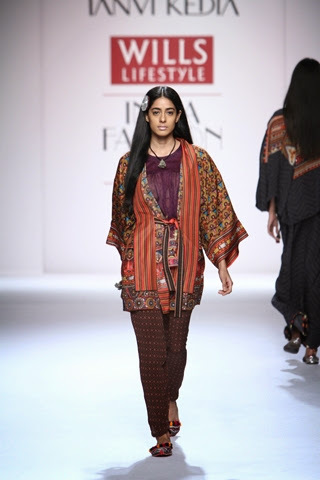 Perfect for the transition into autumn, this collection features bohemian inspired pieces with an Indian tribal feel to them. 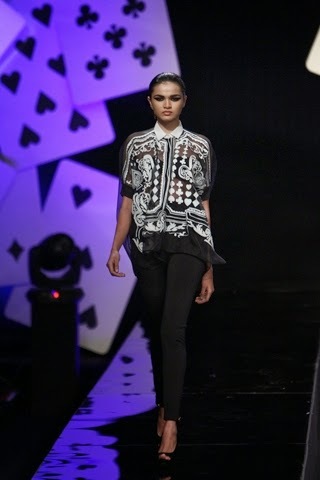 The items are digitally printed on light, airy fabrics with a colourful dark palette. 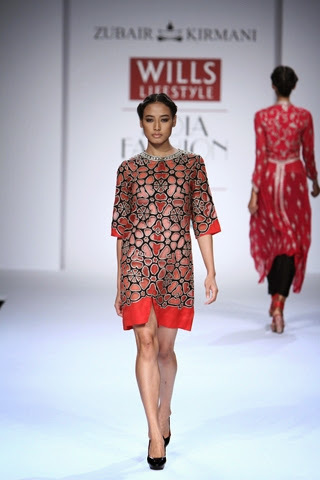 A beautiful trendy collection featuring asymmetrical cuts, flowing pieces, and a pop of red. 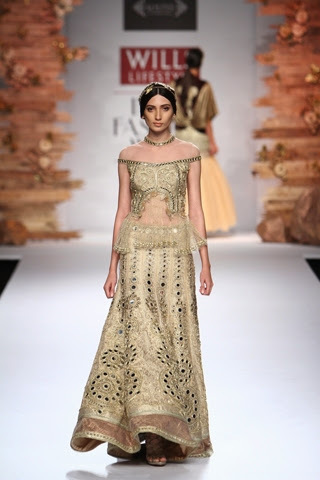 There's definitely a few bridal pieces for the modern bride. 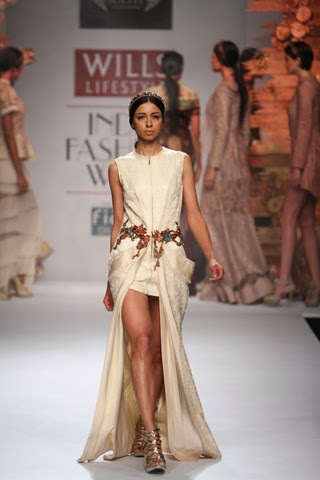 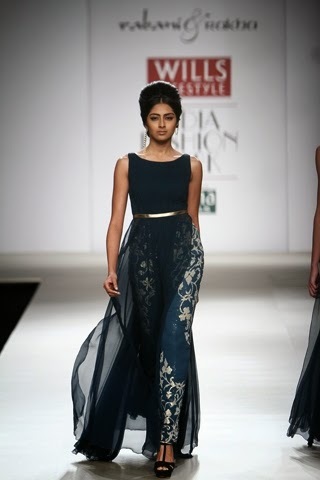 This collection is simpler in design and gorgeous in its fit and drape. 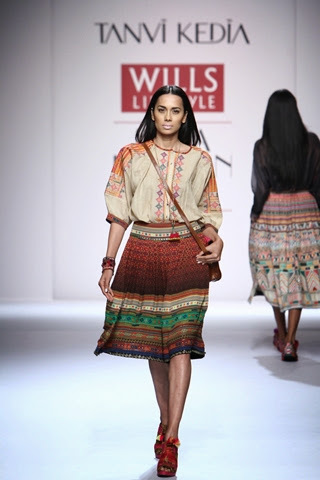 The items look easy to wear but more suited for the summer rather than the autumn/winter. 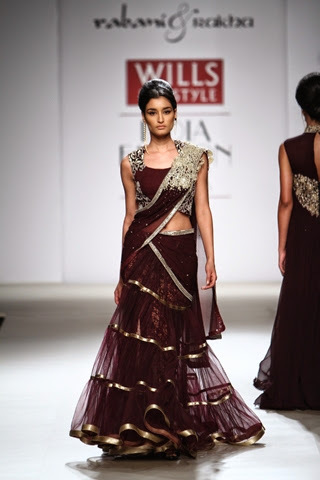 A gorgeous bridal collection using the colours cream, blush and maroon. 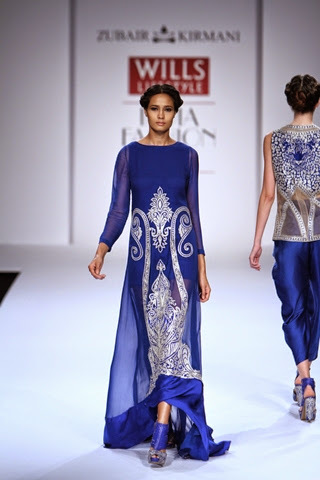 There is beautiful thread work on many items with an emphasis on the waistline. 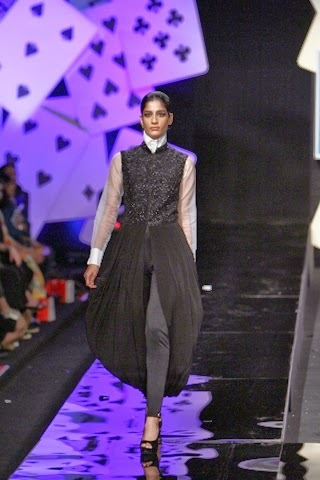 I'm falling in love with capelets - that's next on my buy list! 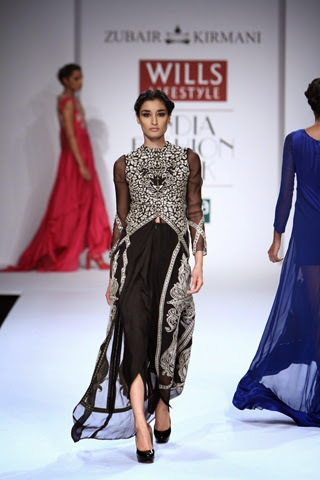 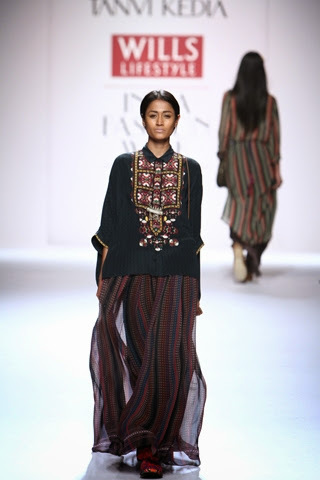 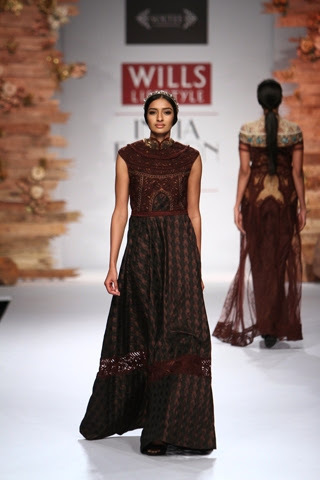 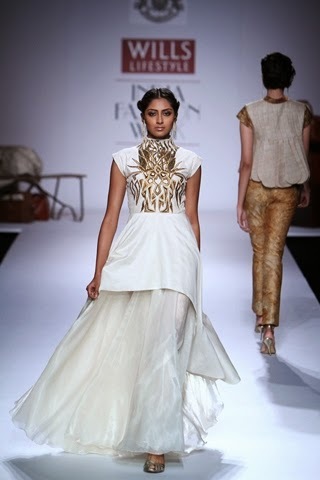 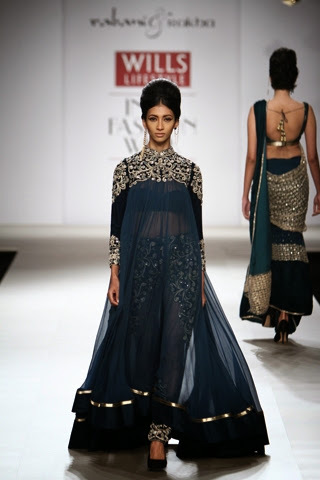 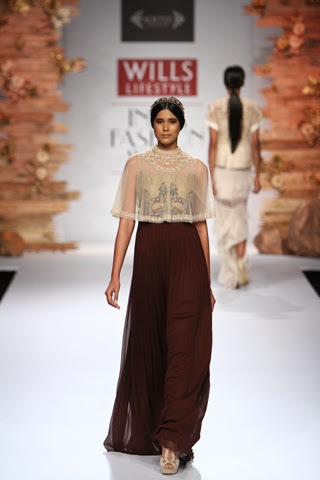 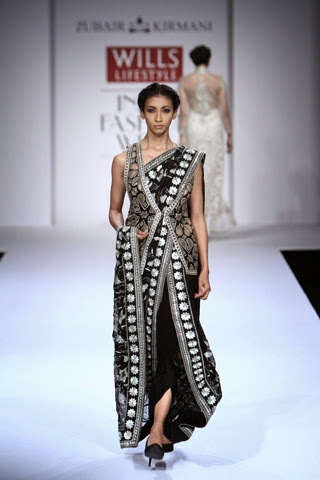 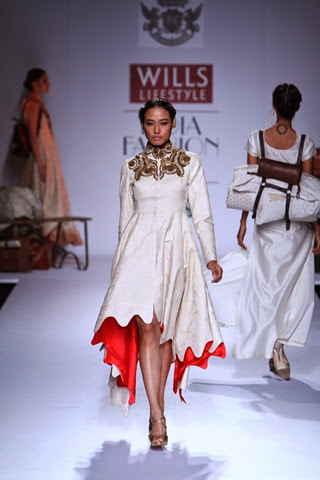 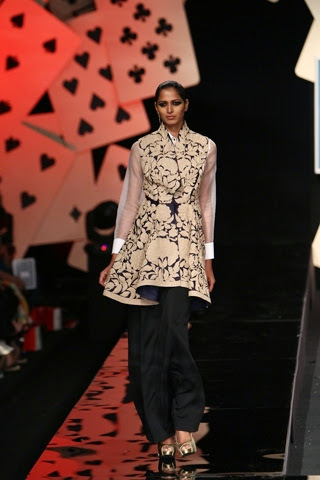 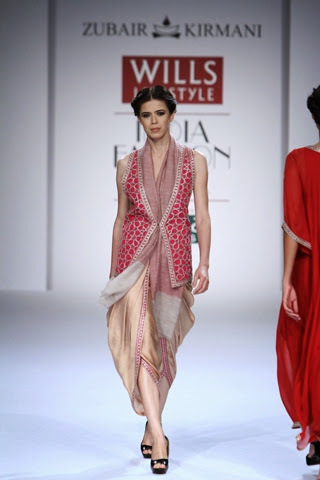 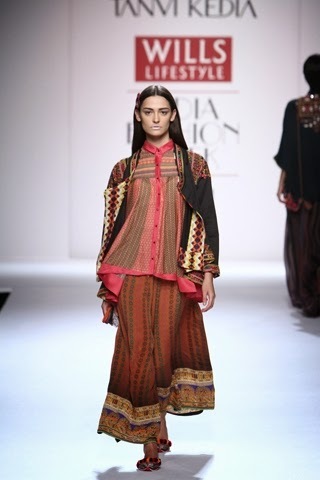 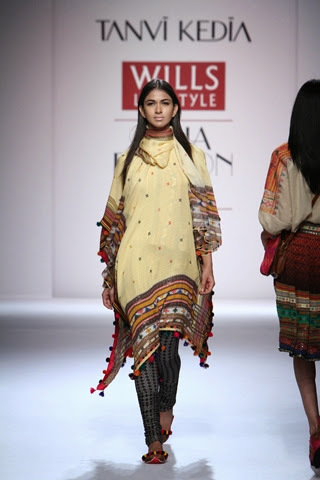 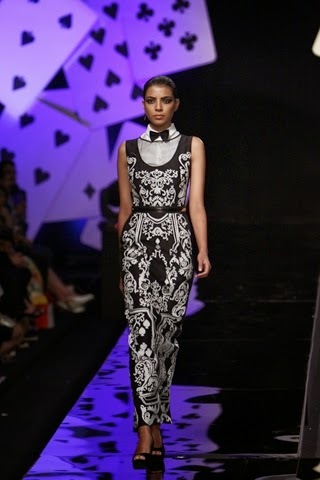 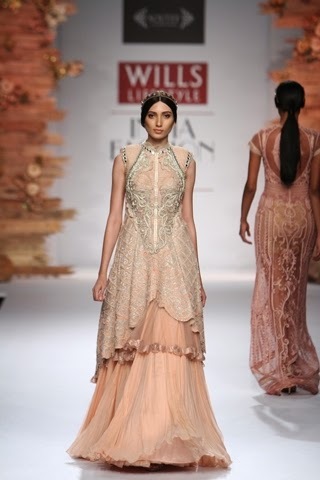 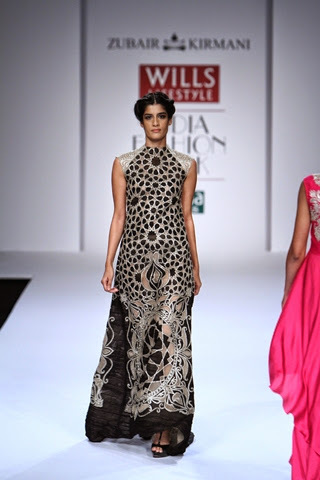 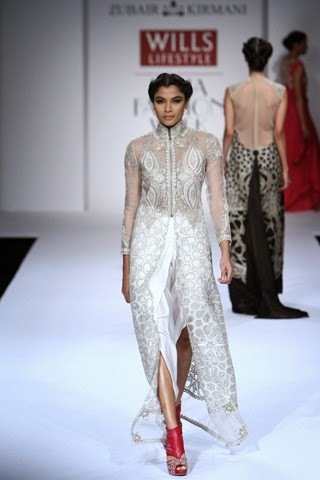 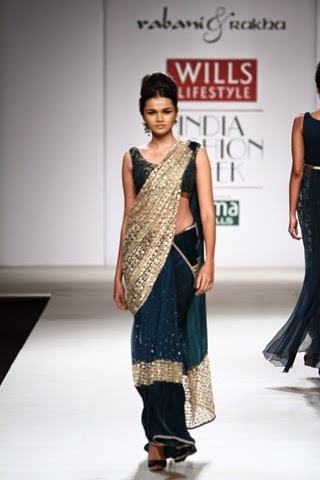 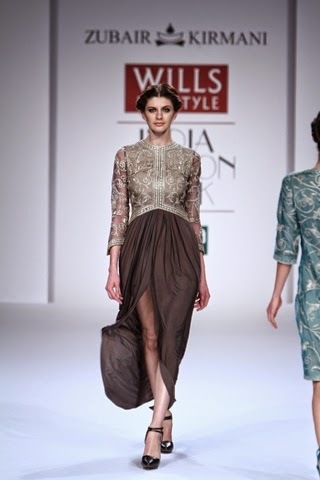 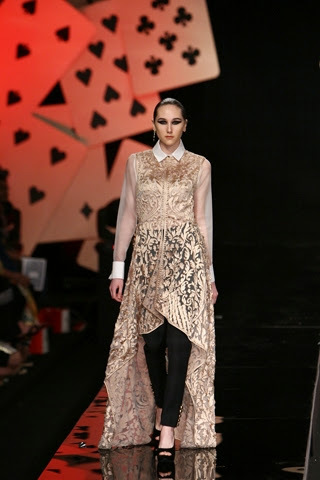 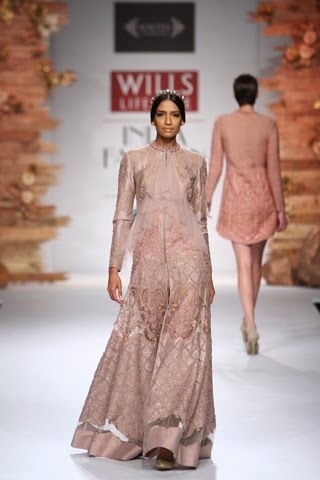 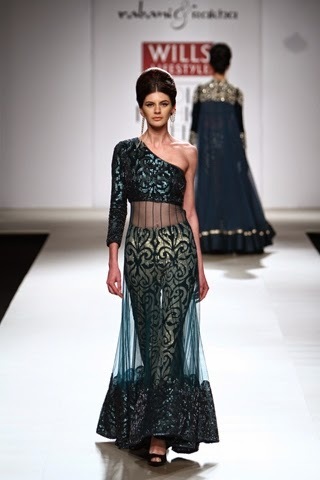 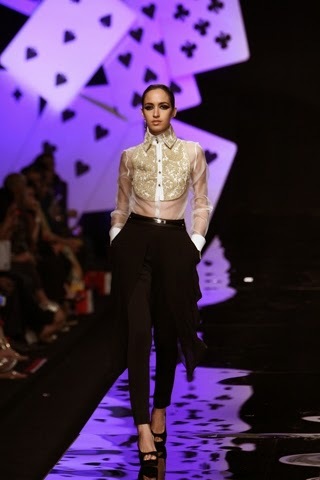 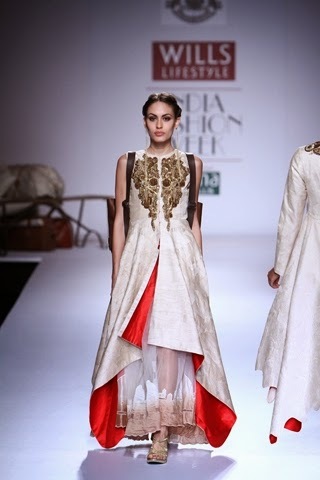 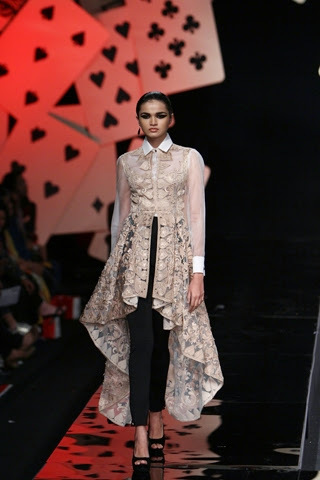 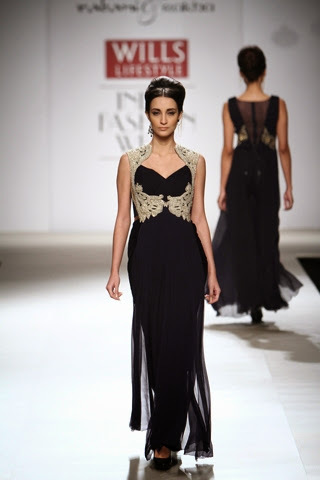 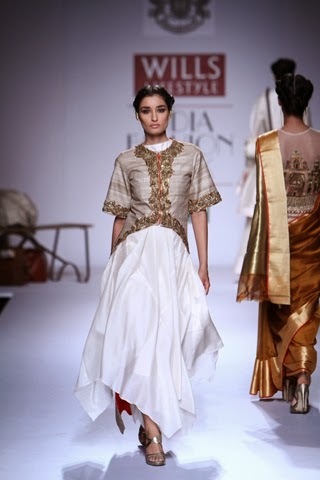 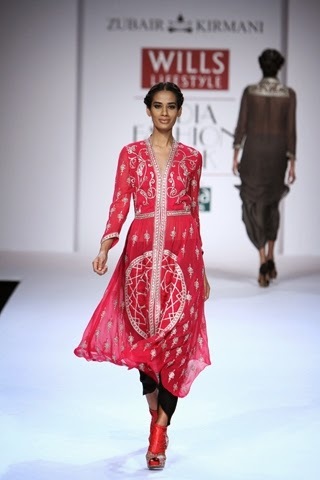 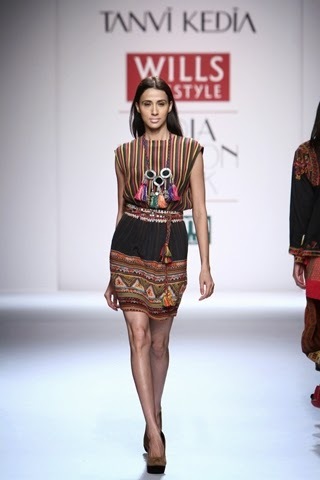 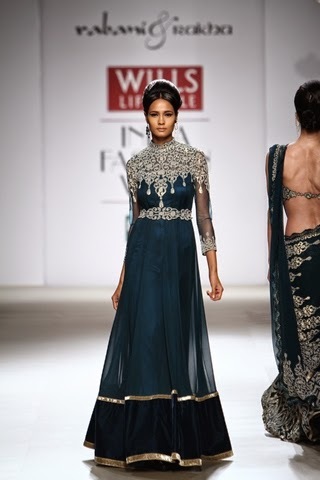 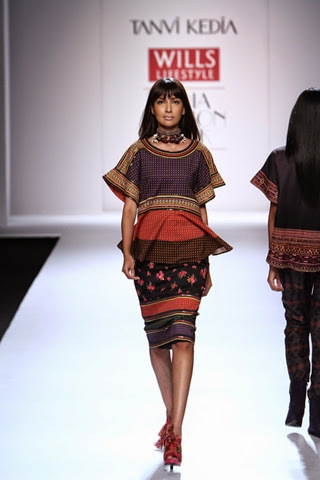 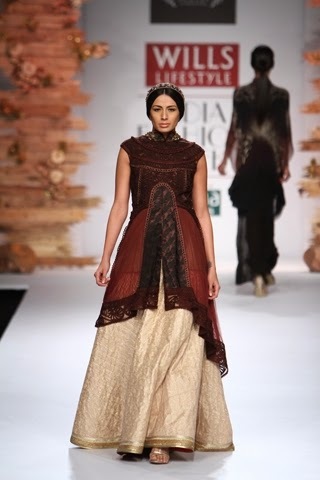 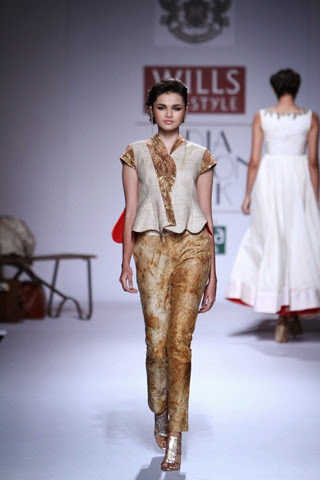 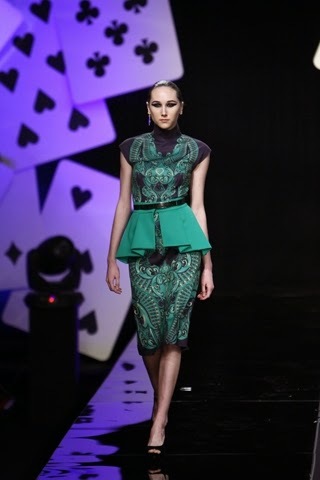 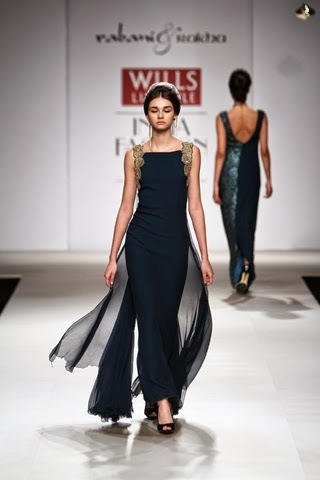 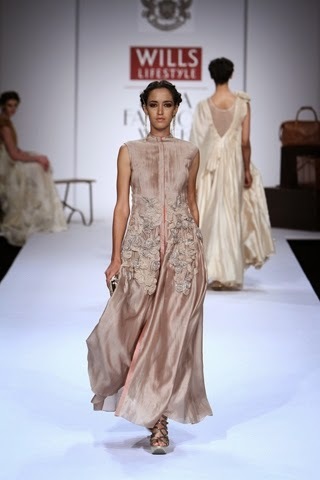 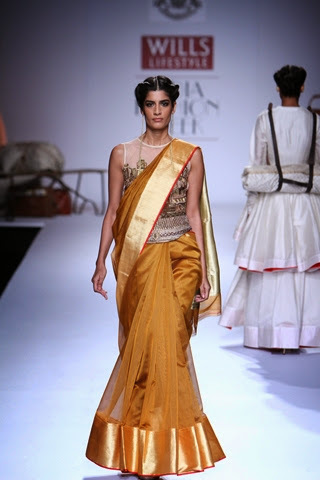 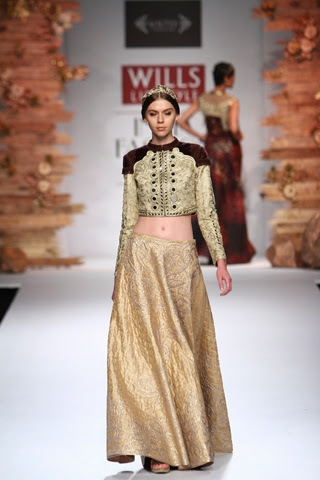 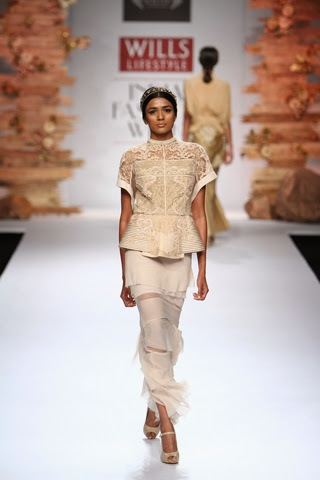 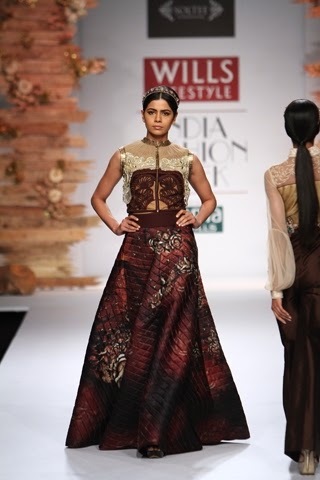 As always Rabani & Rakha have created a stunning collection with deep rich colours and modern silhouettes. 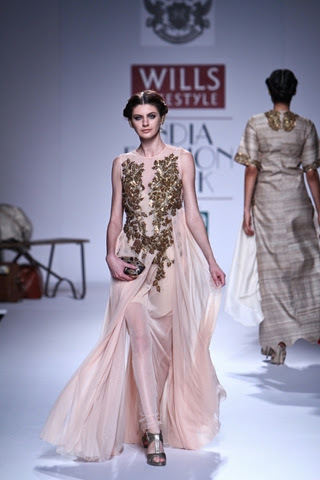 With hints of gold and defined shoulders throughout, the items are perfect for cocktail parties and reception wear. 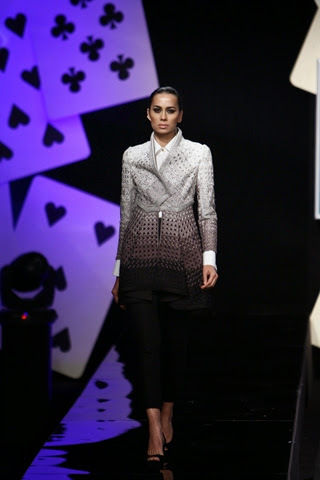 Inspired by a deck of cards, this fun and trendy collection includes damask prints and (of course) prints from a deck of cards. 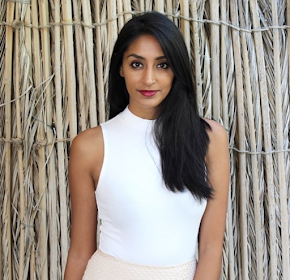 The fitted knee length and ankle length pencil skirts are very trendy at the moment and flatter most body types. 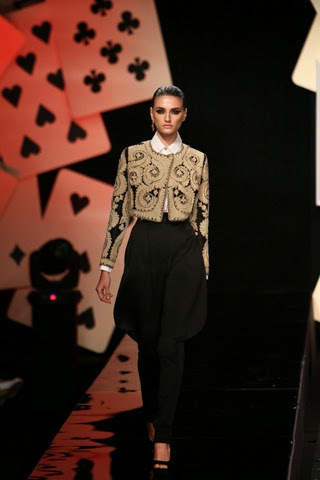 There's also a bit of Spanish inspiration through the bolero jackets.